There has always been a debate when it comes to akuamma seeds and kratom. Which one is the ideal option? This seems to be the million dollar question for a lot of men and women around the globe who have one or more common health issue they want to solve once and for all with the aid of one of them. Just like they have similarities, differences are also present among them, hence the importance of not taking akuamma seeds vs. kratom lightly. Knowing the 411 about each of them will help one choose wisely. 2 Is One Better Than the Other? 3 What Are Their Lasting Effects? Past and recent studies reflect that a positive effect can be achieved with akuamma seeds and kratom to solve malaria, diarrhea, stress, high blood pressure, pain, anxiety, mood swings, among other matters, which tend to be quite common among females and males of all ages. This is not shocking whatsoever, because as one might already be aware, they have successfully utilized for numerous years. The active element in the akuamma seed can compare to the main ingredient that is present in kratom. 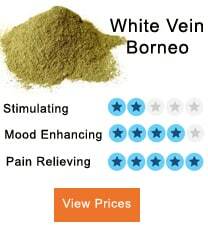 This is one of the reasons why akuamma is often considered to be the perfect substitute for kratom. This is where the debate arises. Substituting one for another has been occurring due to their differences. Some individuals believe that one is better than the other one, and vice versa. Due to this way of thinking, more studies have been conducted for individuals to be able to make an adequate decision, one that goes hand in hand with preference. There are a lot of people who often decide which option is the good one by analyzing the number of sales of solutions on the market. Although this can aid in knowing more about a solution, it should not be the only thing one looks into to decide what to opt for. What Are Their Lasting Effects? Akuamma seeds and kratom share very similar properties, but it is essential to highlight the several differences present. Studies show that akuamma seeds tend to have a milder effect than kratom, making it more long-lasting. Of course, these studies that have conducted on a group of people, one that cannot reflect the experience that everybody would have to take them. Akuamma seeds are known to provide a combination of soft sedation, and well-being, an effect that tends to last up to 4 hours. Due to these seeds having a taste that is on the bitter side, they are often chewed accompanied with lemon juice. This integration aids in alleviating its bitterness in a meaningful way. 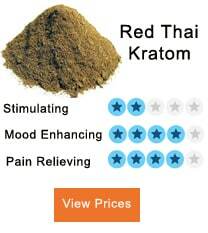 Now, kratom has been described as one that provides more stimulation at low doses. It effects can be felt within about 10 minutes, and one can expect it to be active in one’s internal system for hours. One should not expect for issues to be solved after trying either akuamma or kratom for the first time. Diligence in taking them every day is the key to notice an improvement. 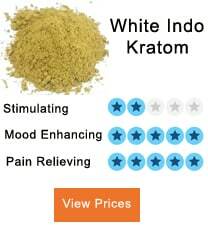 It should be taken into account that kratom does not come accompanied by the legal status that akuamma seeds have. Also, in akuamma seeds, there is no concept of strains as there is with kratom, which can be quite tricky in some situations. When it comes to dosage, there is a significant difference. 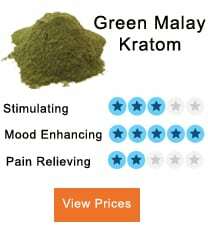 It appears that kratom needs one more gram intake than akuamma seeds for it to have a positive effect. Compared to the strains of kratom, akuamma seeds are on the cheaper side, which can come in handy for those individuals who are on a budget. 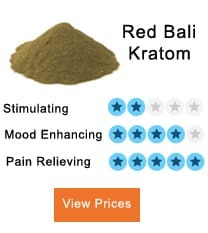 Due to its current legal status, which might change at any given moment, kratom is difficult to come across with on the market; therefore, the price of it varies. There is fluctuation present at all times, a matter that will persist if its legal status remains the same. Due to its popularity, change might come to pass soon. Since they are mild, akuamma seeds are safer to utilize than kratom. There are no lethal side effects for neither. 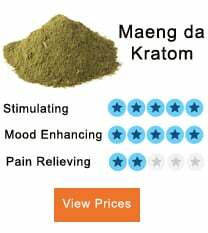 Even so, it important to mention that with kratom, the side effects of nausea, upset stomach, and even headaches can become present if it is taken at a higher gram than what is recommended. Both akuamma seeds and kratom can be taken, without fear that something negative is going to become apparent in the days that follow. This is not something that can be mentioned about actual medication that is prescribed by a doctor to solve any of the matters that these two options have been noted to help combat. Most medicines have become well-known for been infused with a variety of different hurtful elements that could cost one dearly later on shortly. Most medications have become famous for replacing a matter with another in a grand number of people. Taking something that you know has severe side effects should not be taken lightly. A safer route should be taken into consideration. This is why numerous men and women have opted for either akuamma seeds or kratom. Due to these important points, more individuals have opted to give both of them a try; thus, they come to their conclusion when it comes to akuamma seeds vs. kratom. One’s choice should be based on personal preference, as both have been noted to function. If one stops to think about it, what works for a friend, might not work at the same extent for one. If it is possible, one should place both to the test and then stick to the one that garners the most favorable results.